Before you find yourself in the emergency situation of your vehicle breaking down, or maybe you have already had to grapple with finding answers to the question of “is there a tow truck near me?” This piece will help you with valuable information about the value of having the services of a worthy tow truck company handy. You’ll also get acquainted with tips about a standard vehicle service warranty. Tow along! 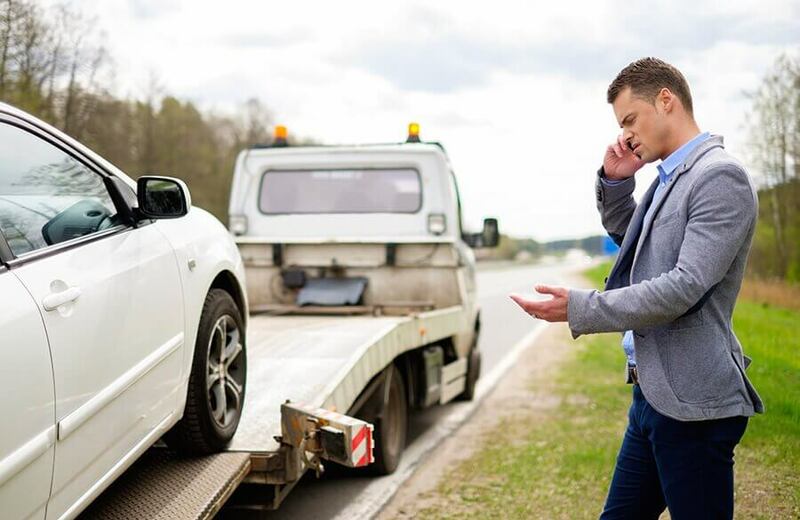 At some point in life, every car owner will need the services of a tow truck service company. The urgent need for an answer to the “is there a tow truck near me” question arises. This is inevitable considering that car engines and parts are very much like the human body which is subject to occasional breakdowns. While humans have first aid emergency ambulance services, cars depend on the services of tow truck companies when such happens. Considering the important role automobiles play in the everyday well-being and economy of humans, therefore, we must pay more attention to the health or efficiency of our automobiles, especially when it comes to using a tow truck service. You don’t want to risk quacks working on your automobiles and opening you up to harm and financial losses. Clearly, this is a service you can’t do without as an automobile owner. The question is: how do you get the best of such services everywhere you go? Included 24/7 Roadside Assistance With DriveSmart Protection Plans! All Your Tow Truck Needs Met! The DriveSmart auto warranty service covers car rentals, 24/7 roadside and lockout assistance, provides flexible payment plans, and issues direct payments to your dealership’s service department or favorite repair shop nationally, and has the added advantage of having a hassle-free ‘cancel anytime’ option whenever you order a tow truck near me service. In addition to paying your dealership or favorite licensed repair facility, you also get to enjoy policy benefits such as towing, loaner vehicle, battery jump, and trip interruption for meals and lodging at a hotel, so you have somewhere to stay when you break down away from home. But that’s not all! DriveSmart’s nationwide tow-truck-near-me service comes in four custom pocket-friendly plans, namely Mileage+, Advantage, Elite, and Ultimate Savers Club. The Mileage+ Plan is designed to protect the core parts of your high-mileage vehicle. The Advantage Plan is designed with your budget in mind as it gives you coverage for the most important – and some of the most expensive – parts of your vehicle. Elite Plan is an exclusionary plan designed to cover all components in the vehicle except routine maintenance. Ultimate Savers club is designed for everyone! You see what I meant by DriveSmart having all the bases covered? Many people erroneously believe that the mandatory auto insurance policy covers auto emergencies that require tow truck services. As a result, they never plan for it. And there are those who don’t know how to access such services or know what to expect in terms of quality service delivery. Sadly, since automobiles are bound to break down or develop faults at some point, especially as mileage increases and automobile lifespan winds down, many people end up spending more money, missing vital opportunities, or even getting in harm’s way. Signing up for DriveSmart’s roadside assistance (tow truck service is a smart choice in this regard because DriveSmart Saver’s Club represents a revolutionary innovation for the automotive industry, not just because it has created an efficient payments plan for auto repairs, but for incorporating a car payments program, the Car Payments Reimbursement, option as well. This program makes sure you’re not stuck making monthly installments on a vehicle that you can’t drive. In the end, you have an auto warranty that gives you a ‘piece of mind’ service that transcends basic car protection. It doesn’t get better!